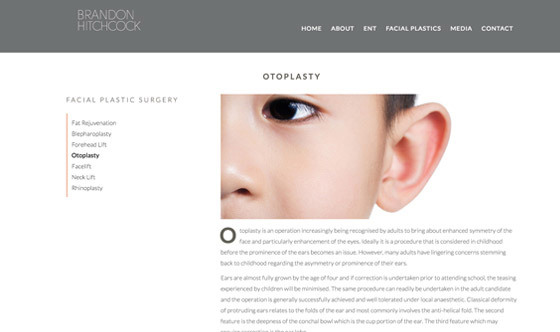 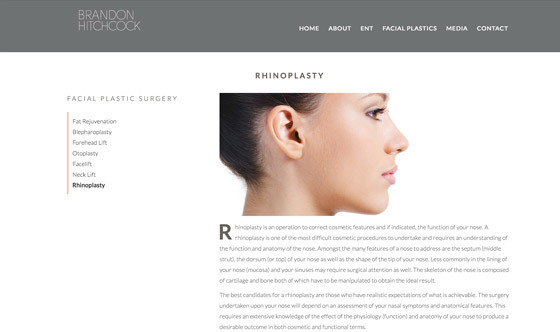 Dr Hitchcock - medical website design, branding, graphic design & logo design. 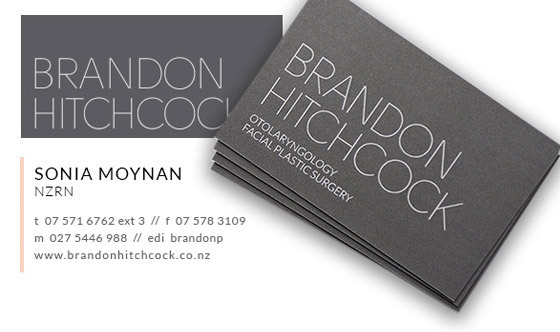 AMG DESIGN collaborated closely with Sonia, the practice nurse and manager of Brandon Hitchcock Plastic Surgery in Tauranga, to create their branding identity design. 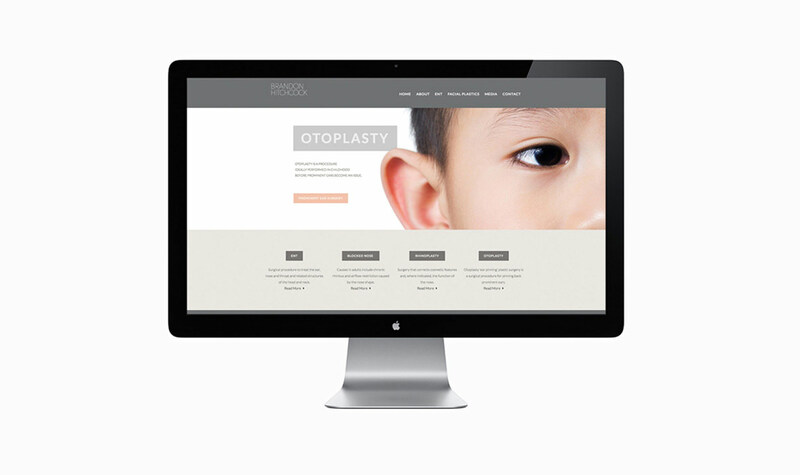 Branding included logo design, business cards, web and print stationery, print media advertising and signage. 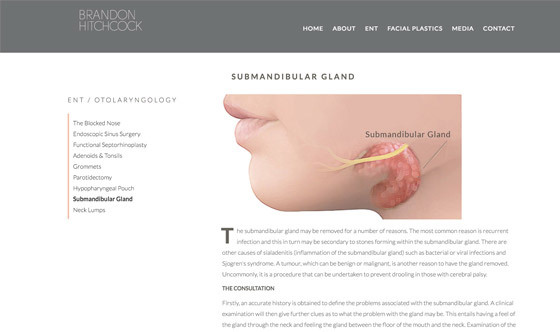 We created a minimal responsive web design for all devices, with a clean and uncluttered appearance using sliding banners on the homepage and static full width images on inner pages. 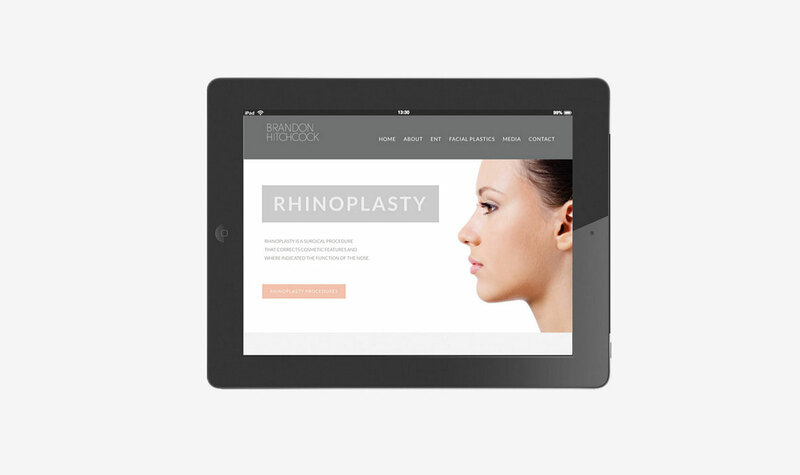 Our Brandon Hitchcock web design is optimised for mobile devices. 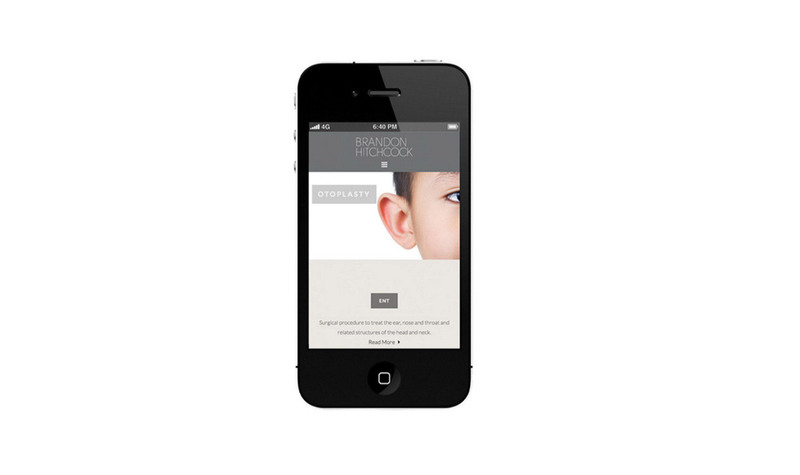 Full width responsive sliders have touch swipe support and interactive areas for better user experience. 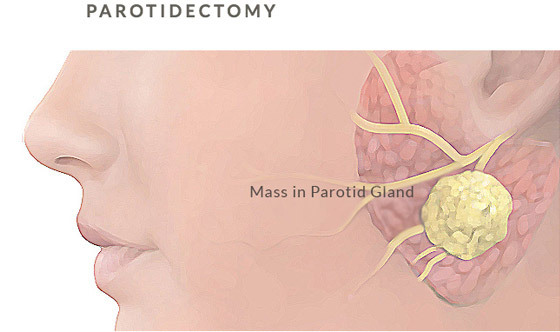 We sourced stock photos for the image banners and created illustrations for the ENT procedures. 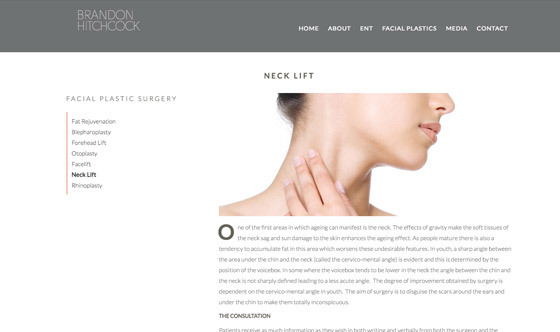 All website pages were embedded with Google Analytics and careful attention was given to SEO (search engine optimisation). 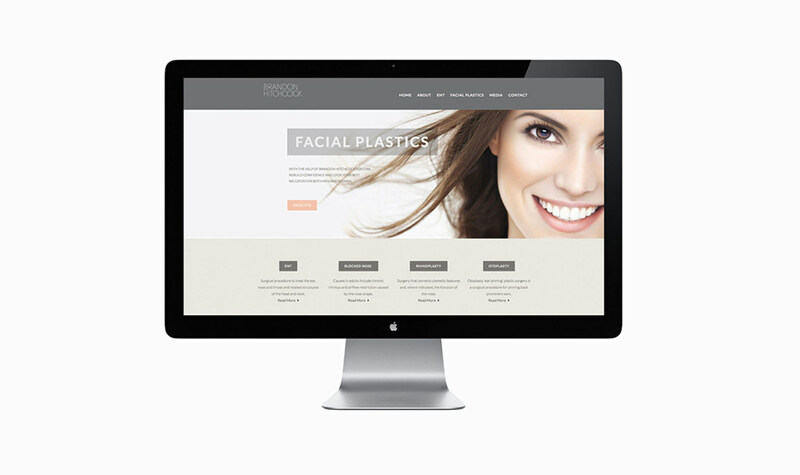 AMG hosts and manages all website updates and provides monthly SEO and web traffic reports.